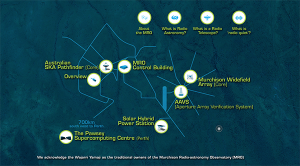 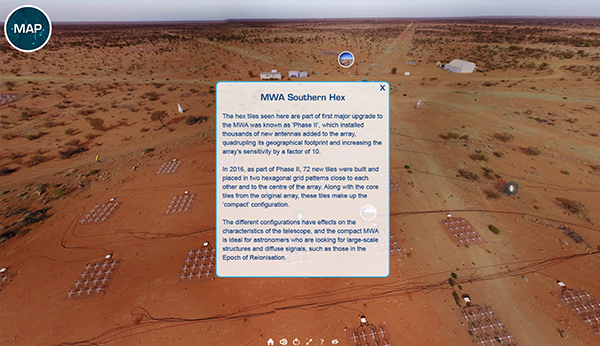 Welcome to the Murchison Radio-astronomy Observatory (MRO), Australia’s SKA site! SKA Precursors the Murchison Widefield Array (MWA) and CSIRO’s Australian SKA Pathfinder (ASKAP). 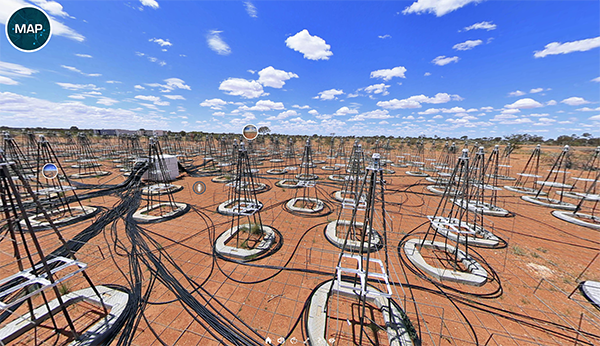 The AAVS, an SKA-low prototype station with 256 of the ‘Christmas tree’ antennas designed for the low frequency SKA. 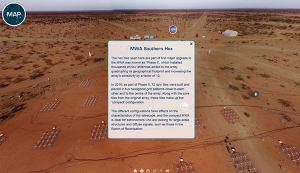 The Solar Hybrid Power Station. 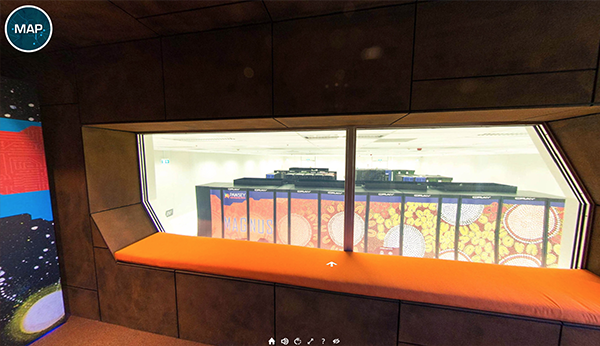 Virtual tour design and coding by Red Empire Media.